To bring up Sierra's debug mode, press option and 'f'. If you now type 'TP' the game will ask 'Which Room'. Type in a number and you will be transported to that room. If you type 'GET OBJECT' the game will ask for a number. Enter a number and you will get the object of that number. Pressing option and 'x' brings up additional co-ordinate information. Note that debug mode doesn't work from System 6. 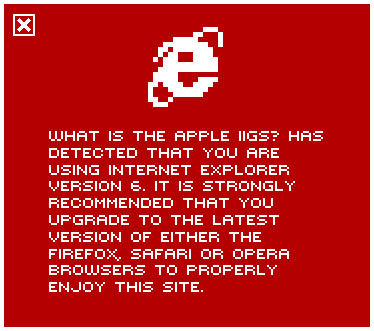 King's Quest IV was the final chapter in the King's Quest saga to appear on the Apple IIGS platform...and was something of a disappointment. 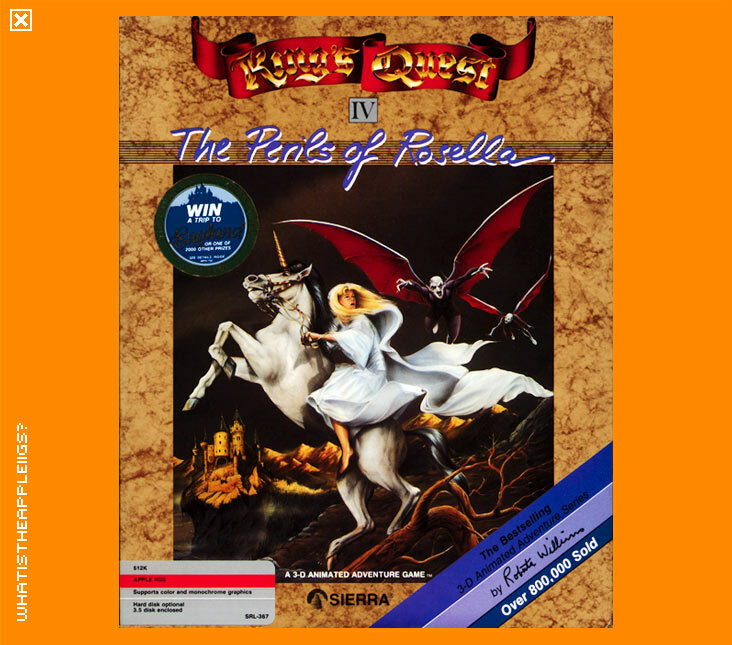 King's Quest IV broke new ground in adventure gaming, because for the first time in a computer game, the player took on the mantle of a female alter ego, Rosella. If you thought I was going to say because it had an increased graphics resolution, you were wrong. I was wrong too, only having found out after buying the game, that the IIGS version did NOT have the enhanced graphics resolution promised by Sierra. Why was this so? In the Autumn 1989 issue of Sierra News Magazine, they stated that a serious study of the stock IIGS was undertaken to evaluate whether or not their new SCI (script interpreter from which they created newer adventure games) could be converted to the IIGS. Sierra President Ken Williams stated "The SCI development language, Sierra's new development platform, is just too big and too complex for the relatively slow CPU of the Apple IIGS machine. We don't see a major upgrade coming along soon to solve the problem." He later stated "When Apple upgrades the machine, or when there are enough owners of the Applied Engineering Transwarp (GS) board to count on it in most machines, Sierra will resume development." So basically, the 2.8Mhz running speed of a stock IIGS was deemed to be too slow. Slow, because SCI was a high level language similar to LISP (The Official Book of King's Quest details how the scripting language was utilised). That was fine for the other platforms running at 7Mhz and up, the speeds of which took all the work out of any low level programming. Instead of programming smarter at a low level, Sierra abandoned the IIGS, and never looked back. Hell, all the money was made in the IBM compatible market anyway. The IIGS was more than capable of handling Sierra's newer adventure games, even with their 320x200 resolution graphics (Especially when every other IIGS game provides this resolution. Enhanced music and sound playback (which the IIGS ALREADY had with earlier Sierra games) shouldn't have proven to be a problem either. Ken Williams also stated "The intent in closing down the IIGS SCI development project is not to discontinue support of the Apple II. I've been an Apple owner myself for the past decade..." To argue against that, we were never delivered Manhunter: San Francisco, the last AGI developed game (anybody know what happened to it?) In addition, Macintosh versions of Sierra games up until Ken Williams was still with the company were sporadic in release and low in quality. Low quality can be accounted for by a report given by a Mac programmer hired at Sierra to convert one of their new games. He had been able to increase the speed of ALL Sierra's recent release games for the Mac by 50% by changing some simple core code. I felt Sierra didn't care much for optimum code for anything other than the PC versions of their games. Ironically, I got the Nucleus demo, created by the godlike FTA, at the same time as I got King's Quest IV. Nucleus loaded off floppy in nine seconds and included smooth 3D graphics and 8 channel music. But Sierra said this sort of thing couldn't be done with such a relatively slow CPU, didn't they? King's Quest IV as a 3D Animated Adventure Game was pretty average to boot; with its clichéd plot and story from all too familiar fairy tales. It was also a lot harder than the other games and points were not awarded at all freely. There were no new concepts as such that made this game outstanding from any other King's Quest.